Fall is officially here and we are beginning to really enjoy some of the fall days. It is hard to believe that with all the rain that we have had we are currently under a burn ban so no fires in the fire pit just now. That means no S'mores after the game on Friday night. I really enjoy planning a fall menu and looking for a way to enjoy those warm cozy spices of the season. 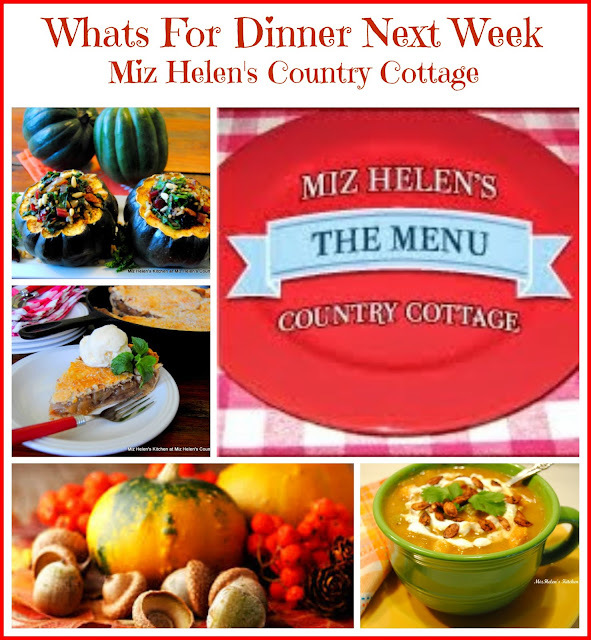 I love getting together with all of you every week and sharing our weekly meal plan. I would love to hear about your meal plan and what you are planning special for your friends and family this week. Hope you have a great week and come back to see us real soon! Once again everything looks delicious Miz Helen! Happy Fall! 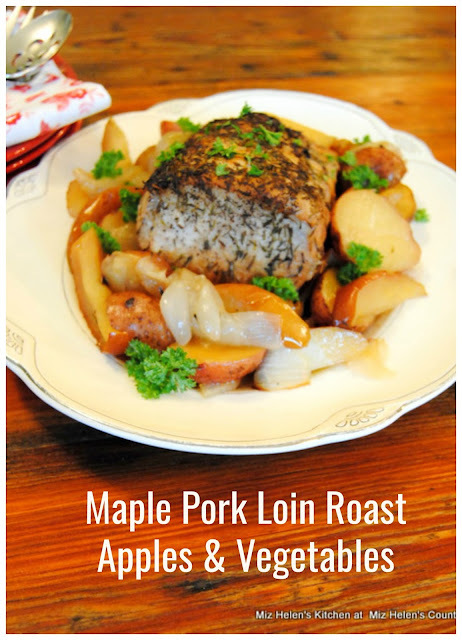 Yum that Maple Pork Loin looks delicious. Thanks for sharing more weekly recipes with us at #overthemoon. It all looks yummy, as always! We've got fettucini alfredo, tacos, an Indian crockpot meal, chicken and waffles, and sweet and sour pork chops on the menu this week at our house. It's still warm here but the nights are getting cooler. Fortunately we aren't under a burn ban so we'll be able to use the fire pit as soon as it gets cool enough. 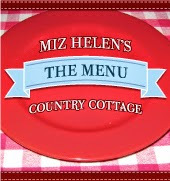 There is so much deliciousness here, Miz Helen! I'm going out to a dinner tonight and I'm sitting here with my tummy rumbling looking at all your lovely recipes! Sharing on the Hearth and Soul Facebook page later today, and scheduled to pin as well. Thank you so much for sharing with us at the Hearth and Soul Link Party. Hope this week is wonderful for you! What a great assortment of food for dinner. Thanks for sharing these recipes at C&C with J&J. Enjoy the week.